At Club MAC Alcudia we’re always coming up with new ways to help you have a great time. Our brand-new app – CLUB MAC INFO – is now available on Google Play and the App store, along with CLUB MAC GAME. 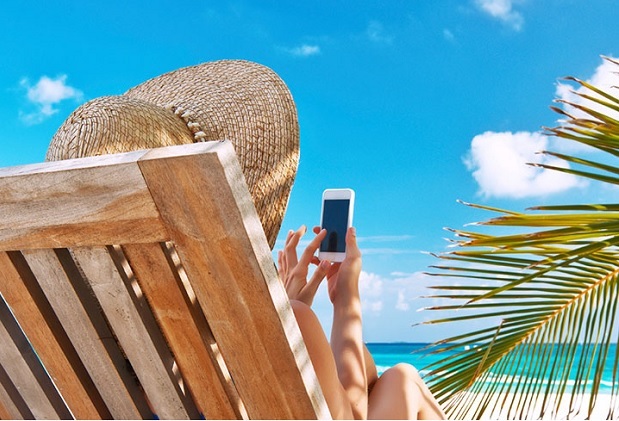 All you need to do is download to your device and then you have all the information you need for the perfect holiday at your fingertips. You’ll be able to read our daily in-resort newspaper with lots of info about what’s going on throughout your stay. You’ll also be able to check the entertainment programmes for everyone in your family, no matter their age, with our new system. There are keyword filters for dates so it’s super easy to use. You can also get information on how to check out, opening times for restaurants, bars and our hotel shop, as well as timetables for our bus to the beach. Guest services info, full information run downs of what to do and where – there really is everything you need for the perfect stay at Club MAC. The app links in with our Facebook and Twitter, and to our official website so you can make bookings. Download the app before you arrive to find out lots of information to help you plan your stay. It’s free to download and is available on Android and Apple. In the entertainment section of the app you can link to our new entertainment calendar. You can also access it on the main website here. You can see the entire entertainment programme from now until the end of the season (do bear in mind it may change slightly as we go through the summer). It includes special events, minis, maxis, teens, adults and all of our fabulous shows. The new system shows the calendar in much more detail so you can also see when the mini discos are, when there’s a parrot show, which day the parade is running and when your child can join in the pyjama party. To make it as easy as possible for you to find the entertainments that are right for you, you can filter using keywords and dates. Bucket: Guide Macky as he eats the balls – but don’t let him eat the objects or you lose! Cloud: Help Macky jump from cloud to cloud, but it’s not that simple! Figure out the trick to help him win. Snake: Based on the classic Nokia game, but with our pool dragon! Treasure: Follow the chest that contains the Macky coin and guess it at the end to earn points. Photo: Have your photo taken with Macky or Misha. Jump: Jump the obstacles with Macky and his bull. Memory: Play the classic Memory game. Cups: Find the different coloured cup – do as many as you can in the time given. Macky’s brand new game: Play with Macky on his very own Club MAC themed holiday. Put him to sleep, wake him up, shower him, brush his teeth, feed him, play at the beach, swim in the sea and much more.